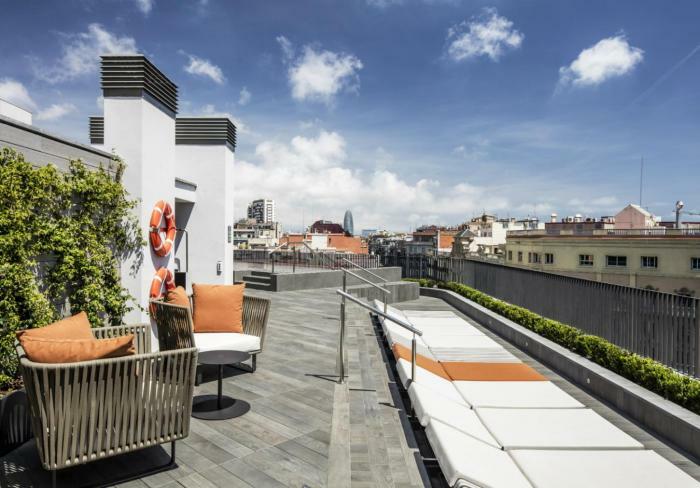 Living in Barcelona means being able to enjoy a temperate climate all-year round; average temperatures range around 20.5 degrees Celsius (70 degrees Fahrenheit). 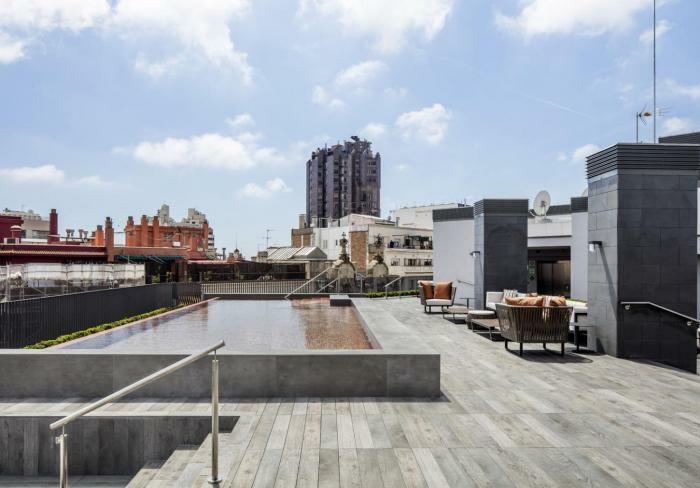 For this reason, the top floor of Midtown Barcelona was designed as an exclusive and stylish observation deck, featuring pool and solarium. 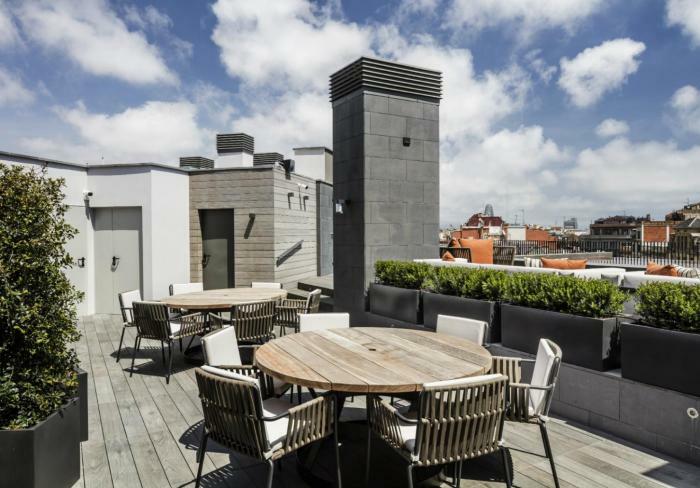 The pleasure of Barcelona begins and ends on this fabulous terrace. Pool hours (Open only during the summer month): from 9 am to 8 pm. Towels for pool use may be requested at the reception desk during its open hours. The consumption of food or beverages is strictly forbidden within the pool. Glasses or containers made of glass or ceramic may not under any circumstances be brought into the pool area.